Uber drivers are covered with $1,000,000 insurance in most scenarios. To determine exactly what Uber insurance might be available will require legal and insurance knowledge and experience in Uber accidents. Our Lehigh Acres Uber accident attorneys at the Wolfson Law Firm can help. Call us at 239-777-9954 for free consultations to determine whether you are entitled to compensation. We handle cases on contingency basis, so we won’t ask you for fees unless we recover for you. Lehigh Acres is not recognized as a city yet. It serves as a suburb of Fort Myers, so Lehigh Acres streets and roads tend to be very busy. Uber serves the needs of the people who need rides. It allows them to easily reach the cities of Fort Myers and Cape Coral, as well as other suburbs such as Sanibel, North Fort Myers, Gateway, Olga, Buckingham, or Alva. But, with so many rides comes the risk of accidents. The busiest road is the State Road 82, and common sense tells us that with increased traffic we can expect more accidents. 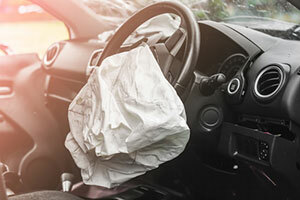 Furthermore, people can suffer a wide variety of injuries in these accidents. Were you injured in another type of Uber accident? Our Lehigh Acres Uber accident attorneys at the Wolfson Law Firm advise you to call us anyway, because you may be entitled to compensation. You would be wise to get the answers you need. When you call us for free consultations, we will listen to your facts very carefully. Then we will gather all the necessary evidence to build a strong case and propose a settlement package to Uber’s insurance company. If they accept, you’ll get the compensation you deserve. If they don’t, we will file a lawsuit on your behalf and seek full compensation as you deserve whether it be through settlement, verdict or appeal. Call our Lehigh Acres Uber accident lawyers now at 239-777-9954. Our consultations are free. We never ask for fees unless we recover for you.